This is the Signed original Gouache painting by Gerry Wood. 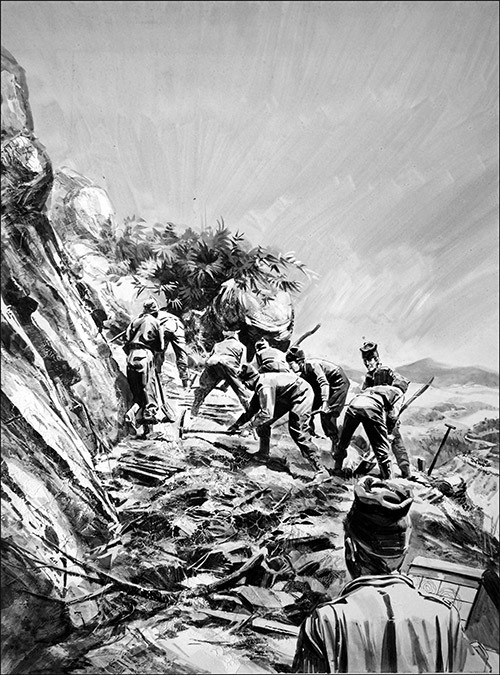 Army sappers construct a mountain road. The art, which has been signed "G.W." by Gerry Wood has been given an unusual rough 3-D texture to make it more like the texture of loosely applied oils. Artwork is dated "April 15th" but the issue and feature has yet to be determined.